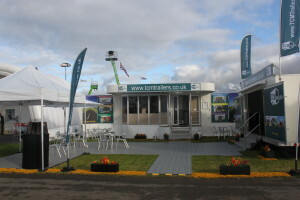 We have just got back into the office from The Showman’s Show which was a complete success. We enjoyed spending a few days actually promoting from the trailers rather than just booking them in from the office and it gave us the opportunity to meet a lot of our clients – always useful putting a face to a name! This entry was posted on Tuesday, October 27th, 2015 at 12:18 pm	and is filed under Uncategorized. You can follow any responses to this entry through the RSS 2.0 feed.You can leave a response, or trackback from your own site.